The latest iteration of the Global Citizen Festival honored the 100th anniversary of Nelson Mandela’s birth (July 18th, 1918) with performances from worldwide superstars Beyoncé, JAY-Z, Ed Sheeran, Usher, Chris Martin and more. The global activism campaign focused on ending extreme poverty by 2030, boasted by the festival, generated a total of 5.65 million actions on social media which led to 58 commitments and announcements worth $7,207,436,824 and will affect the lives of 137,368,628 people. The Carters’ first-ever South African performance was the real drawcard for local music fans who took part in the momentous gathering. 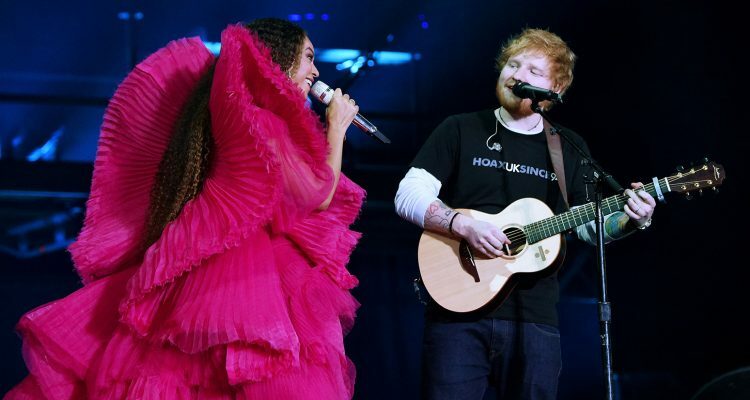 Embed from Getty ImagesAs for the performances, powerhouse couple Beyoncé and JAY-Z delivered a scaled-down version of their recent collaboration album On The Run II, while Ed Sheeran executed recent hits such as “Shape of You” and “Thinking Out Loud.” Festival curator, Coldplay’s Chris Martin, made multiple appearances to accompany some of the roster’s 14+ artists. The festival additionally illuminated the dominance of Nigerian artists in Africa’s push into the global music scene with powerful sets by Wizkid, D’banj, Tiwa Savage and Femi Kuti. Check out the whole 10-hour stream of the “Mandela 100” Global Citizen Festival below.